Designed in 1965, JL 62 and it’s companion side chair JL 78 have proved to be two of the Company’s most successful and enduring chairs. 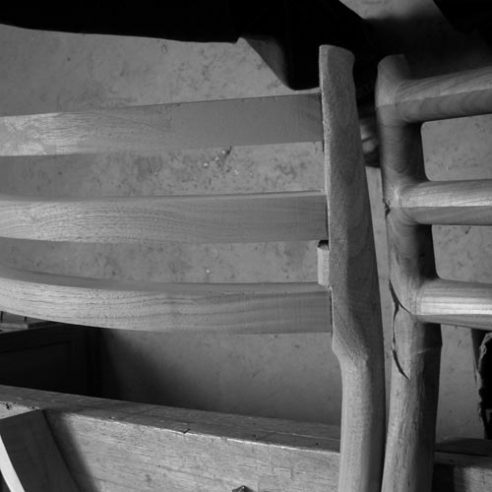 The construction of the strong mortice joints with interlocking tenons at each corner of the seat, alleviates the need for additional stretchers. This detail gives Møllers chairs a light elegant appearance and is particularly true of JL 62 and JL 78.
added distinctive horns to the top of the back rail of Model 62 and this almost anthropomorphic detail is the most characteristic feature of this one of his most beautiful armchairs. The three horizontal rails that flow almost seamlessly from the back legs as they rise above the seat provide excellent support for the lower back.